Washington DC: Seeking to increase availability of cost-competitive renewable energy to run their businesses, 12 leading companies today signed the Renewable Energy Buyers’ Principles to better communicate their purchasing needs and expectations to the marketplace. 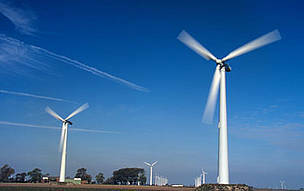 The companies – Bloomberg, Facebook, General Motors, Hewlett-Packard, Intel, Johnson & Johnson, Mars, Novelis, Procter and Gamble, REI, Sprint, and Walmart – are hoping the principles will open up new opportunities for collaboration with utilities and energy suppliers to increase their ability to buy renewable energy. With a combined renewable energy target of 8.4 million megawatt hours (MWh) per year through 2020, the 12 participating companies are seeking a market shift to achieve their sustainable energy goals. Large-scale buyers often have to work around traditional utilities to purchase renewables at competitive prices at the scale they need, increasing complexity and transaction costs. WWF-US and the World Resources Institute (WRI) recognized the need for clearer guidelines and convened leading companies to create the Buyers’ Principles. 6. Increased purchasing options with utilities. The principles address several major obstacles large companies face in procuring and installing renewable energy. For example, large buyers find current renewable energy markets are complicated to navigate and don’t deliver the products corporate customers are looking for. The sheer volume of renewable energy needed to meet their goals demonstrates both a clear demand and a market opportunity for any provider who can deliver what they need. “We know cost-competitive renewable energy exists but the problem is that it is way too difficult for most companies to buy,” said Amy Hargroves, director of corporate responsibility and sustainability for Sprint. “These Buyers’ Principles lay the groundwork for partnerships to help energy buyers like us go further faster,” said David Ozment, senior director of energy for Walmart. The Buyers’ Group is an informal consortium of companies interested in overcoming the obstacles to buying renewable energy and sharing best practices – not a power purchase group. The initial signatories are pioneers, but the group is expanding as more companies recognize the need for market change to seize the opportunities around renewable energy. “To meet their near-term renewable energy goals these 12 companies alone need over 8 million MWh of renewable energy, which is enough electricity to power nearly 800,000 homes every year,” said Letha Tawney, senior associate for WRI. The principles evolved from a collaboration between WWF and the Rocky Mountain Institute (RMI) to identify barriers to corporate achievement of renewable energy targets. The groups convened a Corporate Renewable Energy Buyers’ Day in 2013 to prioritize possible solutions – resulting in RMI creating the Renewables Resource Center and WWF partnering with WRI to develop the new Buyers’ Principles. The Renewable Energy Buyers’ Principles are available at: www.worldwildlife.org/CorpRenewables. WWF is one of the world's largest and most respected independent conservation organizations, with over 5 million supporters and a global network active in over 100 countries. WWF's mission is to stop the degradation of the earth's natural environment and to build a future in which humans live in harmony with nature, by conserving the world's biological diversity, ensuring that the use of renewable natural resources is sustainable, and promoting the reduction of pollution and wasteful consumption.